CHARLES, WILLIAM, fur trader and HBC employee; b. 5 March 1831 in Edinburgh, son of John Charles and Jane Auld, mixed-blood daughter of William Auld*; m. 3 Oct. 1859 Mary Ann Birnie, and they had two sons and two daughters; d. 21 May 1903 in Victoria. William Charles was descended from prominent Hudson’s Bay Company families: his father and maternal grandfather were both chief factors. Born in Edinburgh when his father was on furlough, he was educated there at Hill Street School and at the University of Edinburgh. After being charged with Fort Hope (Hope, B.C.) in 1860, he was made chief trader in 1863 and the next year he was moved to Fort Yale (Yale). He remained in command there until 1866, when he returned to Fort Victoria. From 1868 to 1870 he ran Thompson’s River Post (Kamloops), which, he wrote, was “about the dullest place” he had ever been in. Charles’s work at Hope, Yale, and Thompson’s River is of considerable interest. In the 1850s the HBC abandoned the Columbia River route to the interior in favour of the Fraser River system. This reorganization was hastened by the Fraser gold-rush of 1858, which turned obscure HBC posts into thriving settlements. 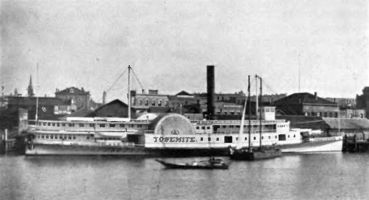 The company placed steamers on the lower Fraser and on Kamloops Lake and entered the retail trade, selling hardware and food at all its posts in the gold districts. Joseph William McKay* and Ovid Allard* worked with Charles on these projects. The gold-rush thus transformed the HBC in British Columbia from a fur-trading to a retailing company decades before a similar change was instituted in Rupert’s Land. In 1870 Charles returned to Victoria, where, from 1872 to 1874, he was second in command of the Western Department under his brother-in-law James Allan Grahame. He was promoted factor in 1872 and chief factor two years later. In July 1872 he had been sent to the upper Skeena River when the Kitseguecla blocked non-native traffic; his job was to ensure that the HBC’s new Skeena route to the interior remained open. After some time the blockade was lifted. 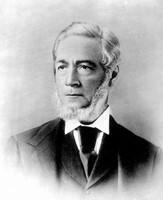 On Grahame’s departure for Winnipeg in 1874, Charles and Alexander Munro were given joint responsibility for the department: Charles managed the trading operations and Munro the company’s lands. Between 1874 and 1878 Charles was also in charge of extending the company’s operations to the Cassiar mining district on the upper Stikine River. In 1879 he was made inspecting chief factor with sole charge of the department, a position he would hold until his retirement in June 1885. In 1883 he oversaw the organization of the HBC’s coastal steamships into a new company, the Canadian Pacific Navigation Company, of which he was first chairman. It would dominate coastal shipping until early 1901, when the Canadian Pacific Railway acquired control of the firm. During the 1880s he also served as a member of the British Columbia Board of Trade (1882–87), a director of the Victoria Gas Company (1882), and acting Swedish consul in British Columbia (1887). Charles was “a man of fine artistic taste,” according to historians Ethelbert Olaf Stuart Scholefield and Frederic William Howay, and apparently he executed many sketches of the “fur trading life of the frontier wilds.” An enthusiastic amateur naturalist, in 1865 he had recorded the arrival at Yale of the first meadow larks and bluebirds. He also had an interest in history and drew upon both his experiences with the HBC and its records to help American historian Hubert Howe Bancroft prepare his History of British Columbia (1887). An Anglican and a conservative, Charles was, memoirist Florence Eliza Margaret Askin Goodfellow recalled, “very much to the front in everything” in Victoria’s social world. Charles’s career is notable for the strength of his family ties east and west of the Rockies – a result of two large families having gone into HBC service and the company’s continent-wide distribution of staff. Among his brothers-in-law were Alexander Caulfield Anderson* and John McLean*. Sustained through such relationships, his position suggests a strong degree of continuity between the fur-trade élite of Rupert’s Land and the colonial élite of British Columbia. Charles was stricken in 1887 with paralysis, which left him an invalid, and died of arteriosclerosis in 1903 at the age of 72. BCARS, A/D/20/Q31, Grahame to Robert Williams, 18 July 1872; Add. mss 520, list of pew-holders, 1866; D-19, M. A. (Mrs William) Charles file, “Pioneer questionnaire” (n.d.); E/B/C38; GR 1304, file 1903/2581. PAM, HBCA, A.12/7: ff.417–21; William Charles file. Daily Colonist (Victoria), 9 Sept. 1868, 28 Aug. 1870, 24 Sept. 1876, 3 June 1885, 22 May 1903. F. [E. M. A. Agassiz] Goodfellow, Memories of pioneer life in British Columbia (Wenatchee, Wash., 1945). H. H. Bancroft, History of British Columbia, 1792–1887 (San Francisco, 1887). Alexander Begg, History of British Columbia from its earliest discovery to the present time (Toronto, 1894; repr. 1972). Directories, B.C., 1882/83–87; Victoria, 1868–69, 1871. Philip Goldring, “Governor Simpson’s officers: elite recruitment in a British overseas enterprise, 1834–1870,” Prairie Forum (Regina), 10 (1985): 251–81. N. R. Hacking, “British Columbia steamboat days, 1870–1883,” BCHQ, 11 (1947): 69–111. N. R. Hacking and W. K. Lamb, The Princess story: a century and a half of west coast shipping (Vancouver, 1974). D. G. Lent, West of the mountains: James Sinclair and the Hudson’s Bay Company (Seattle, Wash., 1963). S. L. [Moir] Allison, A pioneer gentlewoman in British Columbia: the recollections of Susan Allison, ed. M. A. Ormsby (Vancouver, 1976). Scholefield and Howay, British Columbia, 3: 18–22. Eleanor Stardom, “Twilight of the fur trade,” Beaver, 71 (1991–92), no.4: 6–18. Richard Mackie, “CHARLES, WILLIAM,” in Dictionary of Canadian Biography, vol. 13, University of Toronto/Université Laval, 2003–, accessed April 24, 2019, http://www.biographi.ca/en/bio/charles_william_13E.html.